Studio 212 closes. North America’s last outpost for radio drama goes ‘dark’. Those were the days, my friend, we thought they’d never end. But they have. The Canadian Broadcasting Corporation (CBC) is shutting down beautiful Studio 212 in TORONTO’s Broadcasting Centre. 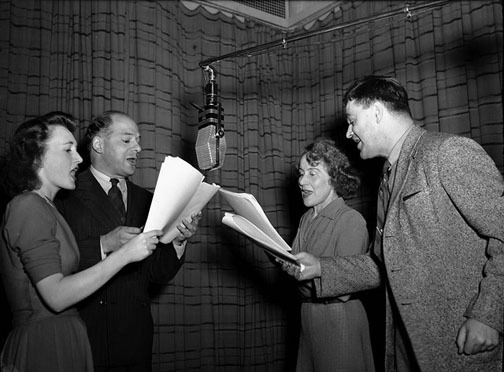 The heyday for Canadian radio drama was from the 1930’s to 60’s, largely under the direction of ANDREW ALLAN, Supervisor of Radio Drama. He’s especially well remembered for the Sunday night “CBC Stage” series, often done live. Studio 212 takes us back to another era of radio, with its sections of concrete, tile and marble floors; a small kitchen with cups and plates to replicate at-home sounds, a “dead room” with no echoes, noisemakers, sirens and megaphones. Over the years, CBC has produced countless dramas, comedy shows, the classics, cops and robbers, love stories, war stories, science fiction, etc. 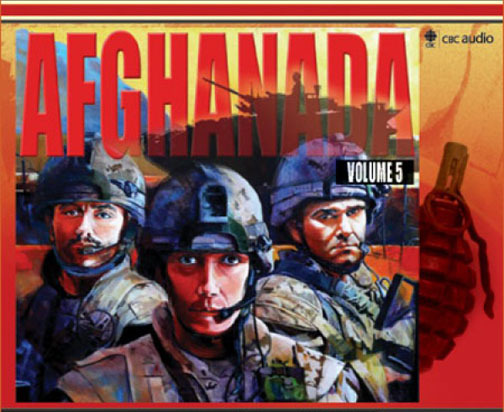 The final series from Studio 212, which has been running for several years now and is available on CD’s from the CBC Shop – “Afghanada” – focuses on Canada’s War in Afghanistan. Artifacts from Studio 212 will no doubt join others in the CBC Museum, ground floor of the Broadcast Centre, 250 Front Street West. The main console will be reinstalled in the Glenn Gould concert studio, also in the Broadcast Centre. 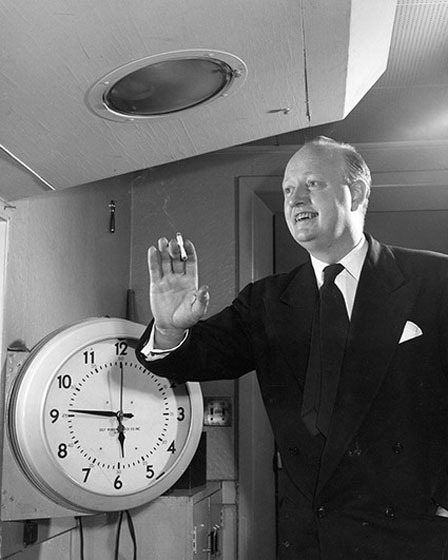 This entry was posted in History & Institutions and tagged Canada, Canadian Broadcasting Corporation, CBC's Studio 212 to close, Ontario, radio drama, Toronto. Bookmark the permalink.